According to current estimates, bisexual individuals represent over half of the lesbian, gay, and bisexual (LGB) community in the United States. However, they are often understudied or combined with lesbians and gay men in health research. Research that has separated populations by sexual orientation has largely found that bisexual individuals experience higher rates of depression, suicidality, interpersonal violence, and other physical and mental health disparities compared to their homosexual and heterosexual counterparts. The Institute of Medicine’s 2011 report on LGBT health recommended that more research be focused on bisexual people to better understand this population’s needs and to determine any health-related differences that may arise in comparison to gays, lesbians, and heterosexuals. 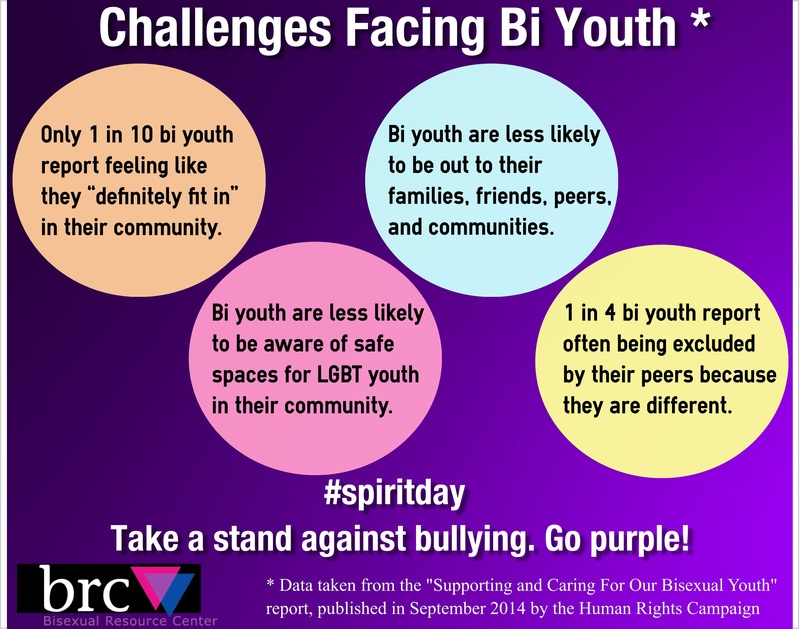 Despite these disparities and recommendations, the bisexual community at large receives little funding, programming/services, and resources that work to address these problems. The Funders for LGBT Issues releases an annual report that tracks which populations in the LGBT community receive private funding. Their 2013 report showed that out of $129 million of funding for LGBT organizations, less than 1% or $475,000 went to bisexual interests, the majority of which was from one funder that devoted it to academic research, not to bisexual organizations that serve the community. Therefore, Bisexual Health Awareness Month works to raise awareness about the bisexual community’s health disparities and to push for more action and resources that can better support bisexual individuals.